The Akhil Bhartiya Vidyarthi Parishad (ABVP), BJP's student-wing, has won all four posts in the Delhi University election. were announced on 12 September. Over 43 per cent students cast their vote on 11 September. This year, the Aam Aadmi Party's student-wing Chhatra Yuva Sangharsh Samiti (CYSS) was contesting the elections against major parties like ABVP, AISA and NSUI. The counting took place at police lines, Kingsway camp. ABVP was leading the polls since the first round and CYSS was lagging behind after ABVP and NSUI. 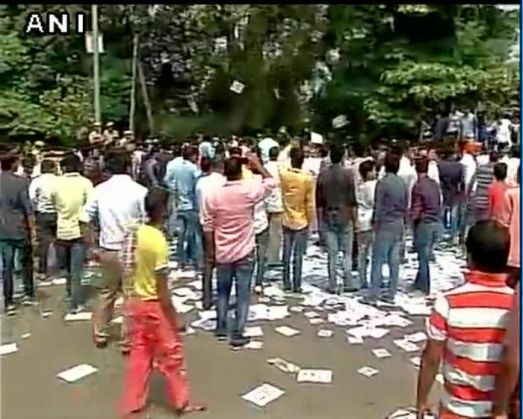 This is the second consecutive time that ABVP has swept the Delhi University polls.